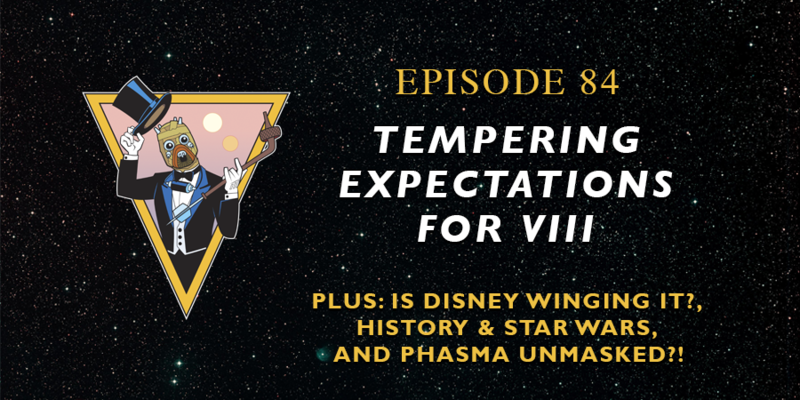 On this episode of Unmistakably Star Wars, Devin and Jeremy talk about the expectations surrounding The Last Jedi and the potential problems that could come with unhealthy expectations. Jeremy has a Prequelcentric Memorial Day Weekend. A very special public service announcement. Is it OK that Lucasfilm did not map out the current Star Wars trilogy from the very beginning? Why is Star Wars a great vehicle to revisit actual historical events and themes? Will Luke Skywalker and Leia Organa reunite in The Last Jedi. Finally, on the Closer Look segment, Devin and Jeremy chat about the role expectations play as fans of Star Wars.